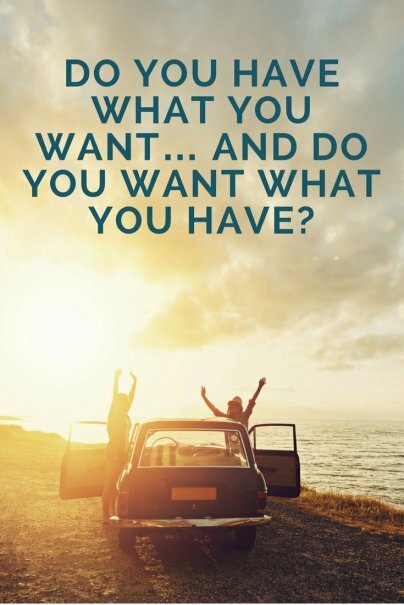 Do you have what you want… and do you want what you have? Home » Personal Finance » Debt Management » Do you have what you want… and do you want what you have? Sometimes, being frugal means not just saving money; sometimes it means not spending any at all. I think we can all agree that there’s been a growing preoccupation with working more to earn more – so you can buy more; yet, it never seems like it’s enough, does it? Just a cursory glance at a landscape of malls, fast food chains and airplane hangar-sized “clubs” for buying sugary snacks in a container the size of an oil drum implies that this condition of over-consumption is reaching epidemic proportions. And yet, despite having a mountain of debt, people are still encouraged to consume as much as possible. Frugality isn’t just about finding shortcuts to support consumption by saving a few bucks on your next purchase; frugality is also about simplicity, about non-attachment (or detachment, as the case may be) and about putting off impulsive spending and instant gratification. The term consumerism, taken in some contexts, essentially means that people equate their possessions or their bank balance with happiness. It seems almost cliché at this point to say “everyone knows money can’t buy happiness” because, while people may say they believe this to be true, the behavior of the average citizen/employee/consumer/niche market doesn’t indicate that people mean what they meme . Sometimes, when someone says the “had to have” something, they might really mean it. If you expose an overworked adult (or even a susceptible child) to enough imagery and sound that imply there’s something missing in their life because they don’t use the ‘right’ deodorant, eat the ‘right’ breakfast cereal or have the ‘right’ toy (yes, folks, a Mercedes, a Rolex or an iPod are toys, too) and you’ll eventually get most, if not all, to buckle under the pressure to strive to attain more, to possess whatever’s being sold, at whatever the cost. Home equity line of credit, anyone? And expect it to get worse. In time, MediaCarts will be the norm, if they’re not already being used in your favorite House of Purchase. 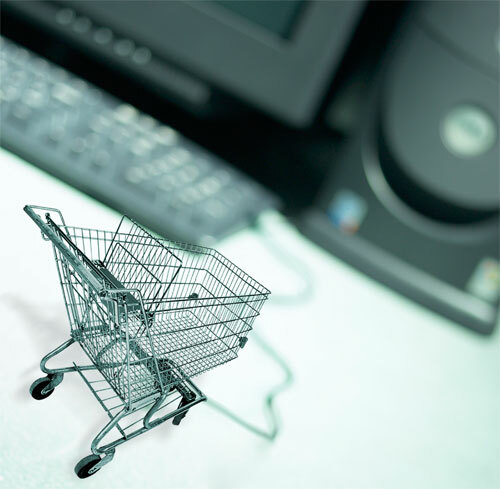 On the surface, it looks like it makes the shopper’s “job” easier; but, in fact, it’s just another information-gathering system that will monitor your movements around the store and try and target you with advertising to get you to buy something you might have overlooked. Thanks, MediaCart, for pointing that out! Now I can spend a little more than I originally intended, but having a machine tell me what I need is like magic! And don’t think you can just change the channel or radio station to escape the bombardment. Clear Channel will be selling 2- to 5-second ads – “adlets” – that you’ll hear before you get a chance to think about changing to another station. "Seconds-long ads have turned up on TV as well: General Motors Corp.'s Cadillac and Time Warner Inc.'s AOL have used five-second ads. The TV world largely uses 60-, 30- and 15-second ads. Today, 30 seconds is the most common length for TV spots, but… advertisers seeking to get their messages out have been embracing other lengths as a way to stand out." Think you’re immune? Take the challenge and see how you do. If you think you’ve got it, try Havidol and see if your symptoms improve. The reality is that, aside from an elite (and lucky!) few, all of us have to go to work. In exchange for our time and labor, we get paid, and with our pay we put food on the table and we keep a roof over our heads. We might even shell out, in varying amounts, a few clams to amuse ourselves: there’s always plenty of things to see on TV, and, if you’re reading this, you’ve probably bought a computer at some point and are paying to connect to a vast amount of (sometimes conflicting) information available on the Internet. The ad companies and marketers would like you to believe you’re not worth much unless you’re thinking about your next purchase. So, while you’re spending a lot of money trying to buy the illusion of value they’re selling, they’re spending a lot of money on trying to figure out how to get the attention of consumers whose minds are already supersaturated, daily, with hundreds of messages about their own self-worth and what life is really about. But you don’t have to work yourself into the ground to own more stuff to feel good about yourself. Go forth, my friends: be frugal and simplify. Bernard Stiegler, "The Disaffected Individual"
Lunesta has been doing 1-second ads on cable for months. You gotta be paying attention but they are there. It is a pretty sad cycle. We work jobs we hate to earn a paycheck to buy things to numb the pain caused by our jobs. Our jobs leave us so little time to reflect upon the truly important things in life. So instead of exploring what really makes us happy, we allow corporate America to sell us big screen tvs and impossible ab exercise machines as substitubes for "happiness." MediaCarts are going to be evil. They are going to pitch them as something that will help you shop, remind you of what you need, but yes, they will track everything - where you are, what you bought, AND they may eventually allow competitors to see where you are shopping and send targeted ads to your cell phone ("Wait! We'll give you a two-fer-one deal!"). Trust me. I was working for a company that was developing the backend hardware and software for those things - I know just how insidious the plans were. I really like this post. Especially the first paragraph. Well-written, well-thought out. Glad you liked it. I think about this subject often, and will probably write more along these lines. I think that you can live large on a small budget because (and I'm not fond of clichés) the best things in life really are free. Several years ago, I was diagnosed with a debilitating neuromuscular disorder which can (but not always) lead to a slow, painful death. Let me tell you: when you think you're going to die, things get different. I was working a job that I hated, my life was filled with stuff I didn't need, and I realized that I had bought into a philosophy that wasn't really my own. Why did I think that I needed these trousers that look horrible on me? And the huge exercise machine that was the most expensive clothes hanger I ever bought? I decided to simplify. It was the best decision I ever made. I don't have to work 50 hours a week to pay for junk I never use. I can actually work at a job that I like, even though it pays a little less. And I can be happy. Now I'm frugal as a matter of habit. I don't need a bunch of stuff to make me so. It's a nice thing to learn this late in life.